The Convention on the Rights of Persons with Disabilities (“CRPD”) does not provide a definition of disability, but instead provides a broad description intended to be widely inclusive. The CRPD establishes in Article 1 that ‘persons with disabilities’ includes ‘those who have long-term physical, mental, intellectual or sensory impairments which in interaction with various barriers may hinder their full and effective participation in society on an equal basis with others’.1 This description of disability shifts the focus toward the social and environmental barriers that hinder an individual’s participation in society rather than on the individual’s impairments. This approach to disability is called the “social model” of disability. The “social model” recognizes that the exclusion of a person with a disability from society is the result of a barrier or hindrance to the individual’s ability to participate fully, rather than the result of the individual’s inherent inability to participate. For example, if a person cannot access a health clinic because of his/her mobility impairment, it is not his/her inability to walk which is the issue, but rather the clinic’s lack of accessibility. The CRPD imposes new legal obligations on States and supersedes any prior non-binding international, regional or domestic standards. However, there are many binding regional and domestic standards that fall short of, or conflict with, the more recent and expansive CRPD standards. For example some standards and case law address forced treatment or confinement where due process was not maintained, but do not question the legitimacy of forced treatment or confinement. Likewise, some standards and case law qualify the right to live in the community, rather than protecting the right absolutely. This chapter, including the tables, is based upon the CRPD and CRPD-aligned standards. The chapter does not include standards or case law that contravenes or diminishes the rights provided in the CRPD. How is disability and health a human rights issue? Using the CRPD as a framework, this section explores a human rights-based approach to health for persons with disabilities, including the social and economic determinants of health. Persons with disabilities have the right to the enjoyment of the highest attainable standard of health without discrimination on the basis of disability, under CRPD Article 25.7 In this context, health is defined as “a state of complete physical, mental and social well-being and not merely the absence of disease or illness.”8 It is crucial to note that the CRPD establishes that disability is not necessarily a medical condition and emphasizes the role of environmental and attitudinal barriers, rather than an impairment (if it exists at all) in hindering full and effective participation in society on an equal basis with others. While persons with disabilities may at times need to access health services for medical conditions related to their disabilities, this should not be presumed to be their primary need for health services. The right to health in Article 25 must be interpreted in the context of the core principles of CRPD outlined in Article 3. The core principles include non-discrimination; participation; autonomy, including the freedom to make one’s own choices; social inclusion; gender equality; and equality of opportunity. These principles are overarching and should guide interpretation of other CRPD articles. The right to health established in Article 25 must also be read in light of Article 4(2) which requires States to progressively realize economic and social rights. Progressive realization means that “States parties have a specific and continuing obligation to move as expeditiously and effectively as possible”9 towards the full realization of the right to health. The Committee on the Rights of Persons with Disabilities recognizes that no State is able to realize the right to health immediately. For example, States may have to develop health care infrastructure, train health professionals, or implement health care legal reforms to begin realizing the right to health. The obligation for States to progressively realize the right to health requires them to make continuing efforts to implement the right, recognizing that it is a process achieved over time. All persons with disabilities have the same general health care needs as everyone else and require access to mainstream health care services on an equal basis as everyone else.19 Also, with the move away from institutionalized living towards community living, it is crucial that health care services and facilities are developed and accessible to all persons with disabilities. Physical accessibility is a critical component for ensuring equal access to health care for persons with disabilities. Physical barriers to accessing health care include both environmental and infrastructural barriers as well as geographical barriers, such as access to rural health centers. Health facilities, goods and services must be within safe physical reach for all sections of the population, especially vulnerable or marginalized groups, such as … persons with disabilities … Accessibility also implies that medical services and underlying determinants of health, such as safe and potable water and adequate sanitation facilities, are within safe physical reach, including in rural areas. Accessibility further includes adequate access to buildings for persons with disabilities. The CRPD also focuses on geographical access to health care, establishing in Article 25(c) that States parties must “[p]rovide these health services as close as possible to people’s own communities, including in rural areas.” Provision of health care facilities to individuals in rural areas ensures that everyone is able to physically reach health care facilities. The provision of health services within an individual’s community is critical for persons with disabilities who have a right to access health services within their community. The CRPD establishes in Article 25 that States parties must “[p]rohibit discrimination against persons with disabilities in the provision of health insurance … which shall be provided in a fair and reasonable manner.” However, persons with disabilities have lower rates of employment, making it more difficult for them to afford health insurance or less likely to covered if health insurance is usually provided by the workplace. Those persons with disabilities who are provided health insurance may be denied coverage due to their pre-existing conditions or discriminatory coverage policies. The form or the content of information can serve as barriers to accessing information for many persons with disabilities.24 For example, presenting information in Braille and sign language are two different forms of communication which make information accessible to individuals who otherwise may experience barriers. Similarly, using easy-to-read language or using pictures and cartoons are different methods for changing the content of information to make it more accessible. In the health context, access to information is crucial for patients to engage with their health care providers and to receive and understand relevant health information. Access to information in the health context extends to accessible forms, informational brochures and communication with health care providers. Access to information is also important for navigating the health care system. Information provided through referral systems, waiting lists or booking systems for appointments should also be accessible to everyone and facilities should also be outfitted with proper signage to and within buildings. Informed consent is supported by the general principles in CRPD Article 3 which include individual autonomy and respecting the freedom of individuals to make decisions about their life. For more information on informed consent generally, please see Chapter 1 on Patient Care. Statistics reveal that adolescents and adults with disabilities are more likely to be excluded from sexual and reproductive health education and face stigma, prejudice, and denial of access to sexual and reproductive health services.30 It is commonly and wrongfully assumed that persons with disabilities are not sexually active and therefore do not need sexual and reproductive health information and services. The CRPD establishes in Article 25 that States parties must “provide persons with disabilities with the same range, quality and standard of free or affordable health care programmes as provided to other persons.” Research demonstrates that persons with disabilities receive poorer health care services and consequently experience poorer health outcomes. Persons with disabilities are also more vulnerable to deficiencies in healthcare services, which increase their risk of secondary conditions, co-morbid conditions and age-related conditions. Health care professional training on the rights of persons with disabilities combats stigma and equips providers with the awareness necessary to provide persons with disabilities quality health care. The social and economic determinants of health for persons with disabilities are essential to consider. “Injustices occur when disability is overmedicalised. Seeing difficulties purely as individual problems can ignore structural issues that contribute to health status, such as poverty, environmental barriers, and social exclusion.”50 A human rights-based approach that addresses the social and economic determinants of health, including discrimination, is required to address the persistent inequalities of persons with disabilities in health status and access to health care. Education is a social determinant of health, and lack of education can limit the enjoyment of the right to health and other economic and social rights. Generally, lower levels of education are associated with poorer health outcomes including illness, malnutrition and higher rates of infant mortality. It is important to consider access to education and quality education as part of the broader picture of health. The CRPD provides in Article 24 that persons with disabilities must not be excluded from the general education system. States parties must enact legislation and implement policies to develop inclusive education systems. The CRPD establishes that when free primary education is provided, people with disabilities may not be excluded on the basis of their disability. When developing inclusive education systems, governments must also account for additional funding requirements and allocate appropriate funds from the budget. Persons with disabilities face a range of barriers to employment opportunities, most significantly discrimination and stigma, lack of accommodation, lack of accessible transport, and denial of education and/or vocational training.55 The CRPD guides States parties to focus on non-discrimination laws, accessibility, reasonable accommodation, and positive measures as means to implement the right to work for persons with disabilities. CRPD Article 16 on freedom from violence, abuse and exploitation provides detailed directives for countries on legislation, programs, monitoring systems and other measures to prevent and address violence against persons with disabilities. Under the CRPD, States parties must implement recovery and reintegration programs for persons with disabilities who were victims of violence, abuse or exploitation. 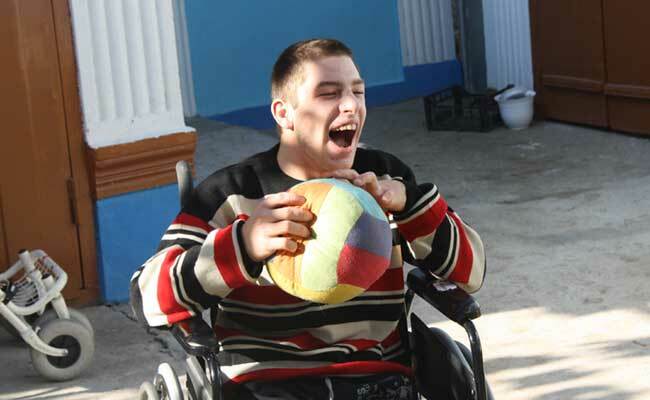 Even though persons with disabilities are more vulnerable to violence, abuse and exploitation, they face barriers to accessing physical, cognitive and psychological rehabilitation services and legal interventions. Medical experimentation or medical treatments without consent including abortion, sterilization, electroshock treatment and psychosurgery. How is institutional living a human rights issue and what is community living? This section focuses on CRPD Article 19 on the right of persons with disabilities to live independently and to be included in the community. CRPD Article 19 provides that persons with disabilities have the right to live in the community and to participate in society as equal citizens. This right is referred to as “the right to community living” within this chapter. The right to community living reinforces that persons with disabilities are not restricted in their choices and opportunities because of their own limitations, but rather are restricted as a result of social and physical environmental barriers to their full and equal participation within their communities. The focus of community living is to create an enabling social and physical environment so that all persons are able to be included and participate in their community. This section will begin by discussing violations of Article 19 on community living, focusing on segregation in institutions as well as isolation in the community, including in group home and home living arrangements. Additional human rights violations that occur in institutions including heightened risk of exploitation, violence and abuse and will also be explored in the first section. The chapter will then examine the right to community living and how this right may be implemented. As states move away from institutionalized living, it is important to understand what alternatives are available that respect the right to community living. The analysis in this section of the chapter is based solely upon CRPD Article 19. How is institutional living a human rights issue? Institutionalization violates the right to community living Persons with disabilities are frequently segregated in institutions against their will where they are denied the opportunity to make decisions about their lives or participate in the community as equal citizens. Persons with disabilities are often deprived of their right to live independently and instead are placed in residential institutions—a process known as “institutionalization.” The term ‘institutionalization’ is used to describe a person with a disability who has been confined to an institution, often against their will, and deprived of the ability to make decisions about their lives. People with disabilities are frequently segregated in institutions against their will where they are denied the opportunity to make decisions about their lives or participate in the community as equal citizens. Institutionalization of persons with disabilities persists, and new institutions for persons with disabilities continue to be built. The European Union seeks to promote the social inclusion of people with disabilities. However, even in countries that are members of the European Union little has been done to address the institutionalization of people with disabilities and new institutions for people with disabilities continue to be built in some EU member states. Institutionalized persons with disabilities face major challenges in exercising their fundamental rights to participate in the community. Particularly, institutionalized individuals are denied full and equal access to education and employment, two major methods of community participation. Institutionalized individuals are often denied educational opportunities, being either excluded from the education system or provided segregated or poor quality education. Likewise, persons with disabilities are often denied opportunities to work in the community. Some programs provide employment opportunities where persons with disabilities are grouped together and given menial tasks, disregarding the individual’s choices and right to participate in the community. Individuals living in a home or group home setting are also subject to violations of the right to live in the community. It is not the size of the residence that determines whether the right to live in community has been violated. Rather, the right to community is violated when an individual is denied the right to live independently, to exercise control over one’s life, and to participate in one’s community. This means that a person is denied their right to live in the community if he/she is prohibited from leaving the house, or faces barriers to accessing education or health services, or pursuing employment. Not only do structural barriers such as inaccessible places, technologies, or services cause isolation and segregation, but stigma and a lack of support within the community can also results in isolation of persons with disabilities from their communities.81 These social, physical, and economic barriers or hindrances prevent full participation in the community, and constitute violations of CRPD Article 19. Persons with disabilities living in institutions experience additional violations of their human rights, beyond the right to community living. What is the human rights-based approached of community living? 1. Choice. Ensuring that persons with disabilities have the opportunity to choose where and with whom they live implicates the right to equal recognition before the law (Art 12 on legal capacity). Article 12 of the CRPD affirms the right of everyone to make their own decisions. Article 12(2) states that “States Parties shall recognize that persons with disabilities enjoy legal capacity on an on equal basis with others in all aspects of life.” Therefore, current state laws on involuntary commitment and guardianship should be revisited in light of the rights articulated in Article 12 and Article 19. 2. Individualized support services. In order to ensure that persons with disabilities are enabled to live in the community, they must have access to a full range of services including housing and community support services, which includes personal assistance. Community support services could include a broad range of services including access to social workers, supported employment and access to health care. The CRPD establishes that access to all services necessary to “to prevent isolation or segregation from the community” is an essential component of the right to community living. Many countries do not have the resources necessary to provide extensive services. However the CRPD provides in Article 4(2) that States parties are obligated to “take measures to the maximum of its available resources … with a view to achieving progressively the full realization of these rights.” Therefore, States parties must continuously strive to implement the right to live in the community by taking steps over time and to the maximum of their resources. This extends to the State’s obligation to provide the resources and support services necessary to realize the right to community living for persons with disabilities. 3. Inclusive community services. Article 19 establishes that community services and facilities for the general population must be available on an equal basis to persons with disabilities and are responsive to their needs. This means that all public services and facilities must accessible to persons with disabilities, and reasonable accommodations should be made. Organizations are beginning to develop resources and tools to provide guidance on the process of deinstitutionalization and the transition to community living, and many of these are listed in the resources section of this chapter. For example, the European Expert Group on the Transition from Institutional to Community-based Care has published a resource that provides detailed guidance on transitioning from institutionalization to community living called “Common European Guidelines on the Transition from Institutional to Community Based Care”95 as well as a toolkit on the use of European Union Funds. 1 United Nations General Assembly, Convention on the Rights of Persons with Disabilities, A/RES/61/106, Art. 1 (2006). http://www.ohchr.org/EN/HRBodies/CRPD/Pages/ConventionRightsPersonsWithDisabilities.aspx. 2 World Health Organization, World Report on Disability (2011). http://whqlibdoc.who.int/publications/2011/9789240685215_eng.pdf. 4 UN Office of the High Commissioner for Human Rights, Monitoring the Convention on the Rights of Persons with Disabilities: Guidance for Human Rights Monitors (2010). http://www.ohchr.org/Documents/Publications/Disabilities_training_17EN.pdf. 5 United Nations General Assembly, Convention on the Rights of Persons with Disabilities, A/RES/61/106, Art. 1 (2006). http://www.ohchr.org/EN/HRBodies/CRPD/Pages/ConventionRightsPersonsWithDisabilities.aspx. 6 United Nations, Convention on the Rights of Persons with Disabilities, “Why a Convention?” http://www.un.org/disabilities/convention/questions.shtml. 7 United Nations General Assembly, Convention on the Rights of Persons with Disabilities, A/RES/61/106, Art. 25 (2006). http://www.ohchr.org/EN/HRBodies/CRPD/Pages/ConventionRightsPersonsWithDisabilities.aspx. 8 World Health Organization, “Definition of Health.” http://www.who.int/about/definition/en/print.html. 9 UN Nations Committee on Economic, Social, and Cultural Rights, General Comment No. 3: The Nature of States Parties Obligations, E/1991/23 (Dec. 14, 1990). http://www2.ohchr.org/english/bodies/cescr/comments.htm. 10 United Nations Economic and Social Council (2007). “Report of the United Nations High Commissioner for Human Rights”, E/2007/82, 25 June. http://ap.ohchr.org/documents/alldocs.aspx?doc_id=15584. 12 UN Nations Committee on Economic, Social, and Cultural Rights, General Comment No. 14: The Right to the Highest Attainable Standard of Health, E/C.12/2000/4 (Aug. 11, 2000). http://www2.ohchr.org/english/bodies/cescr/comments.htm. 13 United Nations General Assembly, Convention on the Rights of Persons with Disabilities, A/RES/61/106, Art. 25(a) (2006). http://www.ohchr.org/EN/HRBodies/CRPD/Pages/ConventionRightsPersonsWithDisabilities.aspx. 14 World Health Organization, World Report on Disability (2011). http://whqlibdoc.who.int/publications/2011/9789240685215_eng.pdf. 15 Tomlinson M et al, “Health care and the UN Disability Rights Convention” The Lancet, 374, (Nov. 28, 2009). 16 United Nations General Assembly, Convention of the Rights of Persons with Disabilities, A/RES/61/106, Art. 9(1) (2006). http://www.ohchr.org/EN/HRBodies/CRPD/Pages/ConventionRightsPersonsWithDisabilities.aspx. 17 UN Nations Committee on Economic, Social, and Cultural Rights, General Comment No. 14: The Right to the Highest Attainable Standard of Health, E/C.12/2000/4 (Aug. 11, 2000). http://www2.ohchr.org/english/bodies/cescr/comments.htm. 18 United Nations General Assembly, Convention on the Rights of Persons with Disabilities, A/RES/61/106, Art. 2 (2006). http://www.ohchr.org/EN/HRBodies/CRPD/Pages/ConventionRightsPersonsWithDisabilities.aspx. 19 World Health Organization, Disability and health, Fact Sheet (Nov 2012). http://www.who.int/mediacentre/factsheets/fs352/en/index.html. 21 World Health Organization, World Report on Disability (2011). http://whqlibdoc.who.int/publications/2011/9789240685215_eng.pdf. 24 Office of the High Commissioner for Human Rights, Monitoring the Convention on the Rights of Persons with Disabilities: Guidance for Human Rights Monitors (2010), pg. 58. http://www.ohchr.org/Documents/Publications/Disabilities_training_17EN.pdf. 25 United Nations General Assembly, Report of the Special Rapporteur on the right of everyone to the enjoyment of the highest attainable standard of physical and mental health, A/64/272 (Aug. 10, 2009). 26 Human Rights Council, Report of the Special Rapporteur on torture and other cruel, inhuman or degrading treatment or punishment, A/HRC/22/53 (Feb 2013). http://www.ohchr.org/Documents/HRBodies/HRCouncil/RegularSession/Session22/A.HRC.22.53_English.pdf. 28 Shakespeare T, Lezzoni LI, and Groce NE, “Disability and the training of health professionals,” The Lancet 374, no. 9704 (Nov. 28, 2009). 29 Ediciones CINCA, Guide to gender mainstreaming in public disability policies (Feb 2012): 246. http://www.oear.or.at/inter-national/europaeische-union/europaeisches-und-internationales-recht/GuidetoGenderMainstreaminginPublicDisabilityPolicies.pdf#page=233. 30 World Health Organization, Disability and health, Fact Sheet (Nov. 2012). http://www.who.int/mediacentre/factsheets/fs352/en/index.html; World Health Organization, World Report on Disability (2011). http://whqlibdoc.who.int/publications/2011/9789240685215_eng.pdf. 31 Open Society Foundations, Sterilization of Women and Girls: A Briefing Paper (2011). http://www.opensocietyfoundations.org/sites/default/files/sterilization-women-disabilities-20111101.pdf; World Health Organization, Promoting sexual and reproductive health for persons with disabilities: WHO/UNFPA Guidance Note (2009). http://whqlibdoc.who.int/publications/2009/9789241598682_eng.pdf. 32 Center for Reproductive Rights, Reproductive Rights and Women with Disabilities (2002). http://www.handicap-international.fr/bibliographie-handicap/4PolitiqueHandicap/groupes_particuliers/Femmes_Genre/reproductive_rights.pdf. 33 Human Rights Council, Report of the Special Rapporteur on torture and other cruel, inhuman or degrading treatment or punishment, A/HRC/22/53 (Feb 2013). http://www.ohchr.org/Documents/HRBodies/HRCouncil/RegularSession/Session22/A.HRC.22.53_English.pdf. 34 International Federation of Gynecology and Obstetrics, Female Contraceptive Sterilization (June 2011). http://www.wunrn.com/news/2011/06_11/06_27/062711_female.htm. 35 World Health Organization, Disability and health (June 2011). http://www.who.int/mediacentre/factsheets/fs352/en/index.html. 36 Shakespeare T, Lezzoni LI, and Groce NE, “Disability and the training of health professionals,” The Lancet 374, no. 9704 (Nov. 28, 2009). 38 World Health Organization, World Report on Disability (2011). http://whqlibdoc.who.int/publications/2011/9789240685215_eng.pdf. 40 Shakespeare T, Lezzoni LI, and Groce NE, “Disability and the training of health professionals,” The Lancet 374, no. 9704 (Nov. 28, 2009). 41 UN Nations Committee on Economic, Social, and Cultural Rights, General Comment No. 14: The Right to the Highest Attainable Standard of Health, E/C.12/2000/4 (Aug. 11, 2000). http://www2.ohchr.org/english/bodies/cescr/comments.htm. 42 Tomlinson et al, “Research Priorities for health of people with disabilities: an expert opinion exercise,” The Lancet 374 (Nov. 28, 2009). 43 UN Nations Committee on Economic, Social, and Cultural Rights, General Comment No. 14: The Right to the Highest Attainable Standard of Health, E/C.12/2000/4 (Aug. 11, 2000). http://www2.ohchr.org/english/bodies/cescr/comments.htm. 44 World Health Organization, “Social determinants of health: Key concepts.” http://www.who.int/social_determinants/thecommission/finalreport/key_concepts/en/index.html. 45 Marmot M, “Social determinants of health inequities,” The Lancet 365 (2005): 1099–104. http://www.who.int/social_determinants/strategy/Marmot-Social%20determinants%20of%20health%20inqualities.pdf. 46 Wilkinson R and l Marmot M, Social determinants of health: the solid facts (WHO Europe, 2003). http://www.euro.who.int/__data/assets/pdf_file/0005/98438/e81384.pdf. 47 Shakespeare T, Lezzoni LI, and Groce NE, “Disability and the training of health professionals,” The Lancet 374, no. 9704 (Nov. 28, 2009). 48 United Nations Economic and Social Council, Report of the Special Rapporteur on the right of everyone to the enjoyment of the highest attainable standard of physical and mental health, E/CN.4/2005/51 (Feb. 11, 2005). 49 Stein MA, “Health care and the UN Disability Rights Convention,” The Lancet, 374 (Nov. 28, 2009). 50 Shakespeare T, Lezzoni LI, and Groce NE, “Disability and the training of health professionals,” The Lancet 374, no. 9704 (Nov. 28, 2009). 51 World Health Organization, World Report on Disability (2011). http://whqlibdoc.who.int/publications/2011/9789240685215_eng.pdf. 53 United Nations Human Rights Council, Report of the Office of the United Nations High Commissioner for Human Rights: Thematic study on the work and employment of persons with disabilities, A/HRC/22/25 (Dec. 17, 2012). http://www.ohchr.org/EN/Issues/Disability/Pages/UNStudiesAndReports.aspx. 54 United Nations General Assembly, Convention on the Rights of Persons with Disabilities, A/RES/61/106, Art. 27 (2006). http://www.ohchr.org/EN/HRBodies/CRPD/Pages/ConventionRightsPersonsWithDisabilities.aspx. 55 United Nations Human Rights Council, Report of the Office of the United Nations High Commissioner for Human Rights: Thematic study on the work and employment of persons with disabilities, A/HRC/22/25 (Dec. 17, 2012). http://www.ohchr.org/EN/Issues/Disability/Pages/UNStudiesAndReports.aspx. See also, O’Reilly A, The Right to decent work of persons with disabilities (International Labour Organization, Nov. 30, 2007). http://www.ilo.org/wcmsp5/groups/public/—dgreports/—dcomm/—publ/documents/publication/wcms_091349.pdf. 56 United Nations General Assembly, Convention on the Rights of Persons with Disabilities, A/RES/61/106, Art. 16 (2006). http://www.ohchr.org/EN/HRBodies/CRPD/Pages/ConventionRightsPersonsWithDisabilities.aspx. 57 United Nations General Assembly, Note by the Secretary- General on Torture and other cruel, inhuman or degrading treatment or punishment, A/63/175 (July 28, 2008). 58 Human Rights Watch, US: Students with Disabilities Face Corporal Punishment at Higher Rates: ACLU and Human Rights Watch Seek Ban on Physical Discipline at School (Aug. 10, 2009). http://www.hrw.org/news/2009/08/07/us-students-disabilities-face-corporal-punishment-higher-rates. 59 United Nations Population Fund, Emerging Issues: Sexual and Reproductive Health of Persons with Disabilities. http://www.unfpa.org/upload/lib_pub_file/741_filename_UNFPA_DisFact_web_sp-1.pdf. 60 Human Rights Council, Report of the Special Rapporteur on torture and other cruel, inhuman or degrading treatment or punishment, A/HRC/22/53 (Feb 2013). http://www.ohchr.org/Documents/HRBodies/HRCouncil/RegularSession/Session22/A.HRC.22.53_English.pdf. 61 Guterman L, Top UN Expert on Torture Demands an End to Abuse in Health Care (Open Society Foundations, March 2013). http://www.opensocietyfoundations.org/voices/states-must-end-abuses-health-care-demands-top-un-expert-torture. 62 Human Rights Council, Report of the Special Rapporteur on torture and other cruel, inhuman or degrading treatment or punishment, A/HRC/22/53 (Feb 2013). http://www.ohchr.org/Documents/HRBodies/HRCouncil/RegularSession/Session22/A.HRC.22.53_English.pdf. 63 United Nations General Assembly, Report of the Special Rapporteur on torture and other cruel, inhuman or degrading treatment or punishment, Manfred Nowak, A/63/175 (July 28, 2008). 65 United Nations General Assembly, Report of the Special Rapporteur on torture and other cruel, inhuman or degrading treatment or punishment, Manfred Nowak, A/63/175 (July 28, 2008); Human Rights Watch, Like a Death Sentence: Abuses Against People with Mental Disabilities in Ghana (Oct. 2012). http://www.hrw.org/reports/2012/10/02/death-sentence-0; Tavanier YB, Institutions Remain Dumping Grounds for Forgotten People, Newsletter (European Coalition for Community Living, 2009). http://www.opensocietyfoundations.org/publications/institutions-remain-dumping-grounds-forgotten-people. 66 United Nations General Assembly, Report of the Special Rapporteur on torture and other cruel, inhuman or degrading treatment or punishment, Manfred Nowak, A/63/175 (July 28, 2008). 67 Human Rights Council, Report of the Special Rapporteur on torture and other cruel, inhuman or degrading treatment or punishment, A/HRC/22/53 (Feb 2013). http://www.ohchr.org/Documents/HRBodies/HRCouncil/RegularSession/Session22/A.HRC.22.53_English.pdf. 71 Parker C and Clements L, The European Union and the Right to Community Living: Structural Funds and the European Union’s Obligations under the Convention on the Rights of Persons with Disabilities (Open Society Foundations, 2012). http://www.opensocietyfoundations.org/sites/default/files/europe-community-living-20120507.pdf; European Coalition for Community Living, Wasted Time, Wasted Money, Wasted Lives—A Wasted Opportunity?, Focus Report (2010): 78. http://community-living.info/documents/ECCL-StructuralFundsReport-final-WEB.pdf; Inclusion International, Inclusion International Campaign on Article 19 – Living in the Community. http://www.inclusion-international.org/home/inclusion-international-campaign-on-article-19/. 72 United Nations General Assembly, Report of the independent expert for the United Nations study on violence against children,A/61/299 (Aug. 29, 2006): 16. http://www.unicef.org/violencestudy/reports/SG_violencestudy_en.pdf. 73 Mansell J et al, Deinstitutionalisation and community living – outcomes and costs: report of a European Study, Volume 2: Main Report (Canterbury: Tizard Centre, University of Kent, 2007), (the DECLOC report). http://www.kent.ac.uk/tizard/research/DECL_network/documents/DECLOC_Volume_1_Exec_Summary_final.pdf. 75 Parker C, A Community for All: Implementing Article 19 – A Guide for Monitoring the Implementation of Article 19 of the Convention on the Rights of Disabilities (Open Society Foundations, Dec 2011). http://www.opensocietyfoundations.org/sites/default/files/community-for-all-guide-20111202.pdf; Hammarberg T, The Right of People with Disabilities to Live Independently and be Included in the Community, CommDH/Issue Paper, (Council of Europe, 2012). https://wcd.coe.int/ViewDoc.jsp?id=1917847. 76 United States Supreme Court, Decision of Olmsted v. LC, 527 US 581 (1999). 77 Freyhoff G et al, eds., Included in Society – Results and Recommendations of the European Research Initiative on Community-based Residential Alternatives for Disabled People (European Commission, 2004). http://www.community-living.info/contentpics/226/Included_in_Society.pdf. 78 Hammarberg T, The Right of People with Disabilities to Live Independently and be Included in the Community, CommDH/Issue Paper, (Council of Europe, 2012). https://wcd.coe.int/ViewDoc.jsp?id=1917847. 79 Freyhoff G et al, eds., Included in Society – Results and Recommendations of the European Research Initiative on Community-based Residential Alternatives for Disabled People (European Commission, 2004). http://www.community-living.info/contentpics/226/Included_in_Society.pdf. 80 Hammarberg T, The Right of People with Disabilities to Live Independently and be Included in the Community, CommDH/Issue Paper, (Council of Europe, 2012): 4. https://wcd.coe.int/ViewDoc.jsp?id=1917847. 82 Amnesty International, Bulgaria: Far from the Eyes of Society: Systematic Discrimination against People with Mental Disabilities (Oct. 2002). http://www.amnesty.org/en/library/info/EUR15/005/2002; Amnesty International and Mental Disability Advocacy Center, Cage Beds: Inhuman and Degrading Treatment in Four Accession Countries (2003). http://www.mdac.info/en/resources/cage-beds-inhuman-and-degrading-treatment-or-punishment-four-eu-accession-countries. 83 United Nations General Assembly, Report of the Special Rapporteur on torture and other cruel, inhuman or degrading treatment or punishment, Manfred Nowak, A/63/175 (July 28, 2008). 84 United Nations General Assembly, Report of the Special Rapporteur on torture and other cruel, inhuman or degrading treatment or punishment, Manfred Nowak, A/63/175 (July 28, 2008). 86 Human Rights Council, Report of the Special Rapporteur on torture and other cruel, inhuman or degrading treatment or punishment, A/HRC/22/53 (Feb 2013). http://www.ohchr.org/Documents/HRBodies/HRCouncil/RegularSession/Session22/A.HRC.22.53_English.pdf. 87 Parker C, A Community for All: Implementing Article 19 – A Guide for Monitoring the Implementation of Article 19 of the Convention on the Rights of Disabilities (Open Society Foundations, Dec 2011). http://www.opensocietyfoundations.org/sites/default/files/community-for-all-guide-20111202.pdf; Hammarberg T, The Right of People with Disabilities to Live Independently and be Included in the Community, CommDH/Issue Paper, (Council of Europe, 2012): 9. https://wcd.coe.int/ViewDoc.jsp?id=1917847. 88 Parker C, A Community for All: Implementing Article 19 – A Guide for Monitoring the Implementation of Article 19 of the Convention on the Rights of Disabilities (Open Society Foundations, Dec 2011). http://www.opensocietyfoundations.org/sites/default/files/community-for-all-guide-20111202.pdf. 89 Hammarberg T, The Right of People with Disabilities to Live Independently and be Included in the Community, CommDH/Issue Paper, (Council of Europe, 2012): 8. https://wcd.coe.int/ViewDoc.jsp?id=1917847. 90 Hammarberg T, The Right of People with Disabilities to Live Independently and be Included in the Community, CommDH/Issue Paper, (Council of Europe, 2012). https://wcd.coe.int/ViewDoc.jsp?id=1917847. 94 Parker C, A Community for All: Implementing Article 19 – A Guide for Monitoring the Implementation of Article 19 of the Convention on the Rights of Disabilities (Open Society Foundations, Dec 2011). http://www.opensocietyfoundations.org/sites/default/files/community-for-all-guide-20111202.pdf. 95 European Expert Group on the Transition from Institutional to Community-based Care, Common European Guidelines on the Transition from Institutional to Community Based Care: Guidance on implementing and supporting a sustained transition from institutional care to family-based and community-based alternatives for children, persons with disabilities, persons with mental health problems and older persons in Europe (Nov. 2012). http://deinstitutionalisationguide.eu/wp-content/uploads/2012/12/2012-12-07-Guidelines-11-123-2012-FINAL-WEB-VERSION.pdf. See also, European Expert Group on the Transition from Institutional to Community-based Care, Toolkit on the Use of European Union Funds for the Transition from Institutional to Community-based Care (Nov. 2012). http://deinstitutionalisationguide.eu/.